Time to celebrate a month of exploring Singapore. 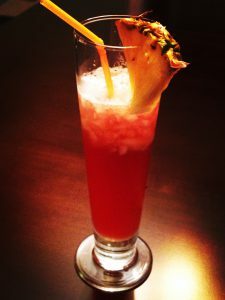 The cocktail I have created is called the ‘Singapore Thing’, a delicious variation on the famous Singapore Sling, created at the Long Bar of the Raffles Hotel. I thought it might be a good idea to explore 2 other Singapore things that have intrigued me over the last month. The Merlion is a marketing icon trademarked in 1966 as a logo of the Singapore Tourism Board. 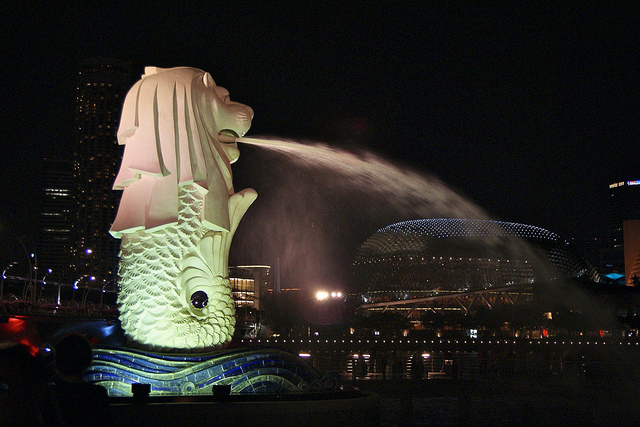 On the 15th of September, 1972, the Merlion Statue was installed at the mouth of the Singapore River. Made of cement, its eyes are small red teacups. In 2002, it was relocated to Merlion Park at Marina Bay. Half fish and half lion, it symbolizes Singapore’s old history as a fishing village called Temasek, and it’s newer history as Singapore, the ‘lion city’. These unique structures are trees made of concrete and steel, but adorned with over 162,900 plants from 200 species. The tallest is 16 stories high. Travel to the top and you will experience magnificent views of the island. Some actually harvest solar energy to power the lights that adorn the structures at night. 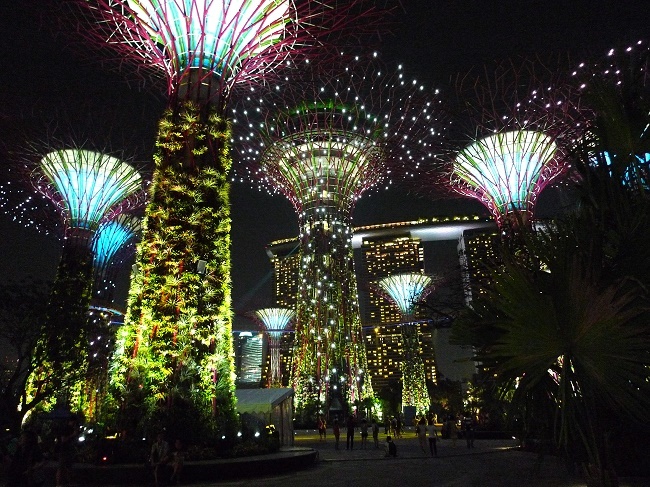 At Gardens by the Bay, 12 of the 18 are located in a grove and two are connected by a 128 meter high skyway. The Singapore Sling is said to have been created by bartender Ngiam Tong Boon at the Long Bar in the Raffles Hotel around 1915. The Singapore ‘Thing’ was created 2 days ago at my house. It is, of course, a variation on the Singapore Sling, using some of the same ingredients, but topped of by an India Pale Ale and served over crushed ice in a pilsner glass. Shake all ingredients except IPA with Ice. Pour into a pilsner glass half filled with crushed ice. Top off with about 1.5 oz. of India Pale Ale, or to taste. Garnish with pineapple wedge, and maybe a cherry.